I was raised just outside New York City and I've lived in Massachusetts and Southern California. After my journeys across the country, I am excited and proud to finally find a new home in Loomis and Northern California. I strongly value keeping up-to-date with the latest advancements in dentistry, but having practiced in both modern and traditional settings, I understand the importance of combining the new with time-tested, and well-researched methods. You have my 100% attention! You will never find me running around my office frantically seeing multiple patients. I schedule with intentionality so that I can devote undivided attention to each patient at EVERY visit. You WILL have your questions answered during your visit and you will also have the opportunity to email or call me afterwards - I will respond! From photography to visiting nursing homes and libraries with my certified therapy dog, to serving in multiple ministries in two churches and starring in a commercial in Northern California (see below! ), my life outside my career is packed with numerous volunteer activities and random endeavors that are too many to list! As my patient, you're also a friend and I look forward to telling you a little bit more about my life outside dentistry and I look forward to hearing about yours! 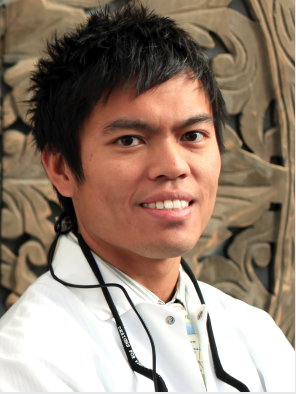 My goal is to keep your dental care simple, straightforward, and HONEST! Let's explore ways to prevent cavities in the first place and come up with a game plan that prioritizes the major issues and your chief concerns FIRST.